Have any mashed potatoes left? These savory fritters are a total hit! Leftovers are a Hit Again! Have any mashed potatoes left? 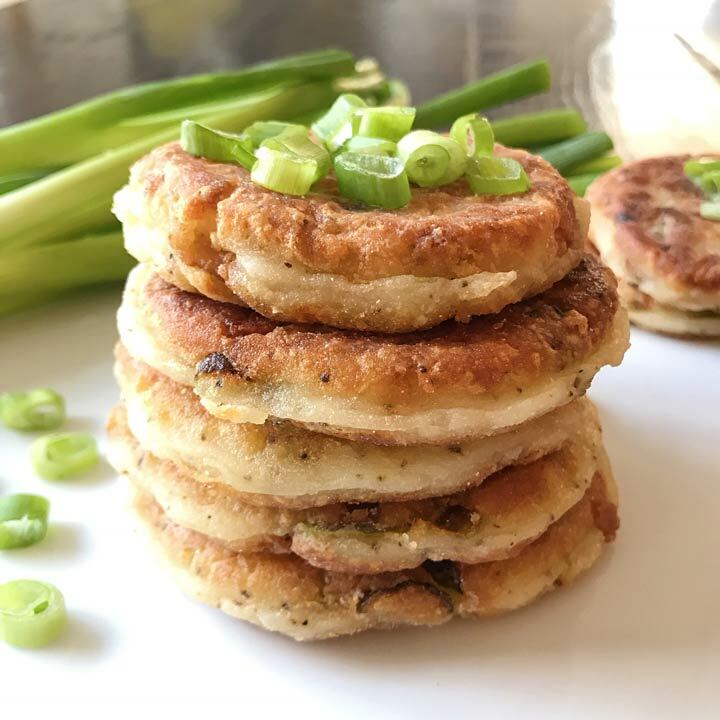 These savory “Mashed Potato Fritters” took less than 20 minutes to make and are always a total hit! The recipe and inspiration are from A Dash of Megnut. Super yummy, crispy on the outside with creamy mashed potato on the inside. Packed with flavor and now we’re just about done with leftovers! The recipe is adapted from A Dash of Megnut. The recipe is simple… it’s mashed potatoes mixed with a small amount of flour (I used GF Jules all-purpose flour), scallions and crispy bacon. Being a veggie, I made some without bacon just for me. I mixed in some spices, then quickly and lightly fried for a total crowd pleaser – a delight for everyone!